Just a short distance from The Silk Heritage Centre are the new Silk Museum Park Lane Galleries. Opened in 2002 they provide much additional information and many exhibits relating to the silk design and manufacture process. 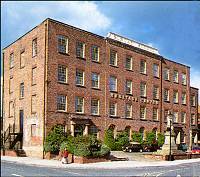 Adjacent is Paradise Mill, which was a working silk mill until 1981. Today the Park Lane Galleries share an admission price with Paradise Mill which is a site museum with restored Jacquard handlooms and knowledgeable and entertaining guides, many of whom have worked in the industry, demonstrate the intricate production processes.